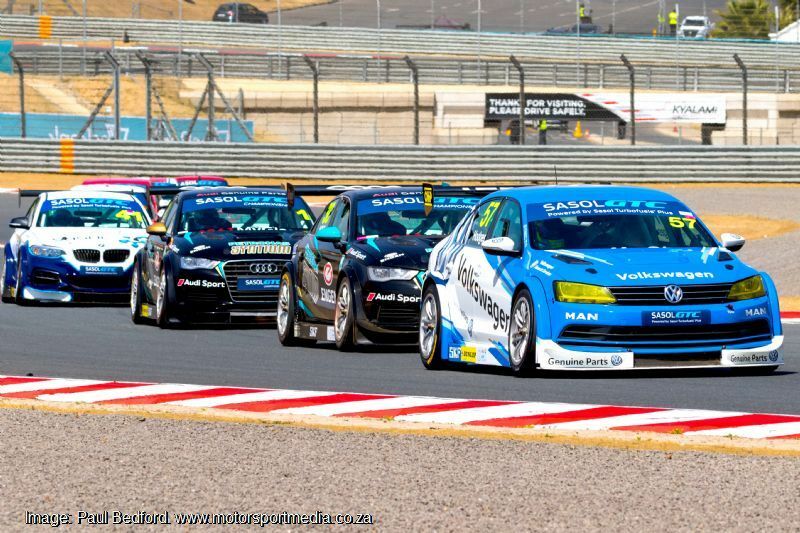 Kyalami’s Festival of Motoring presented by WesBank featured a limited race program among the many activities around the Grand Prix Circuit over the past weekend, where both Sasol GTC and the Investchem Formula 1600s delivered some spectacular action and drama. 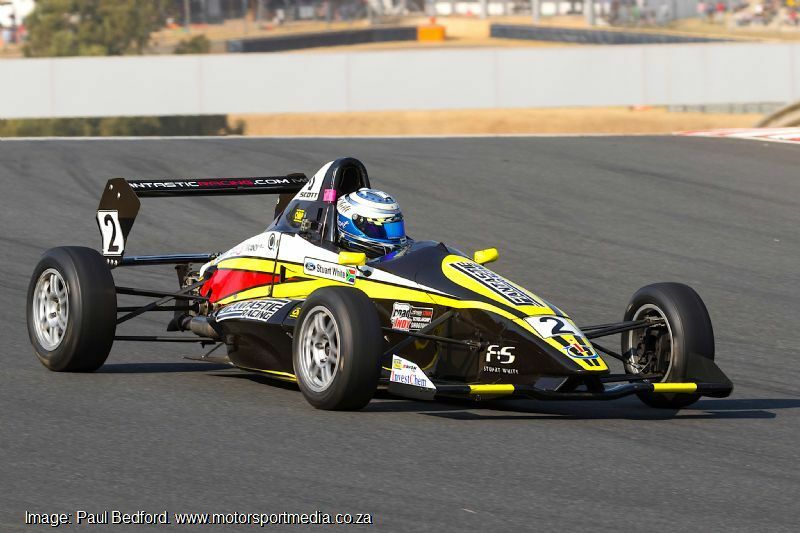 Championship contenders Michael Stephen and Gennaro Bonafede took a race apiece in GTC and Keegan Masters and Bradley Liebenberg each won and retired alternate GTC2 heats, but Stuart White proved unstoppable in Formula 1600. 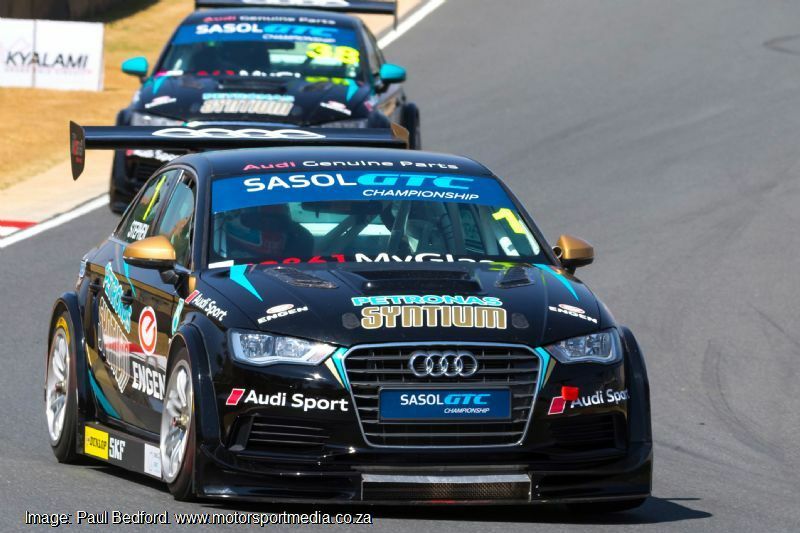 Championship leader Stephen planted his Engen Audi on pole Sasol GTC position Saturday morning ahead of a rapid Daniel Rowe’s Volkswagen Motorsport Jetta, with championship contenders Bonafede (Sasol BMW) and Simon Moss (Engen Audi) third and fourth from BMW privateers Johan Fourie (EPS) and Michael van Rooyen (RSC). 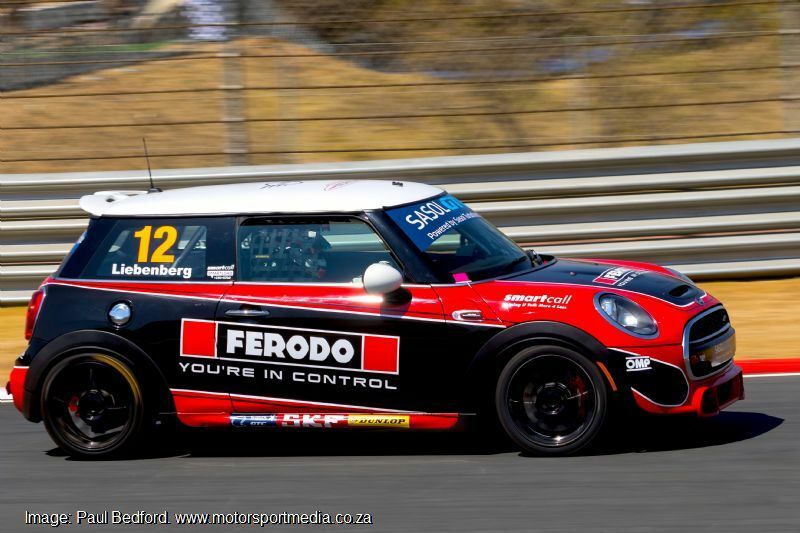 Keagan Masters (VW Motorsport), Adrian Wood (Kyocera) and Charl Smalberger’s newly liveried CRC/Shield/Q20 Golfs dominated GTC2 as the Minis suffered a desperate qualifying session. 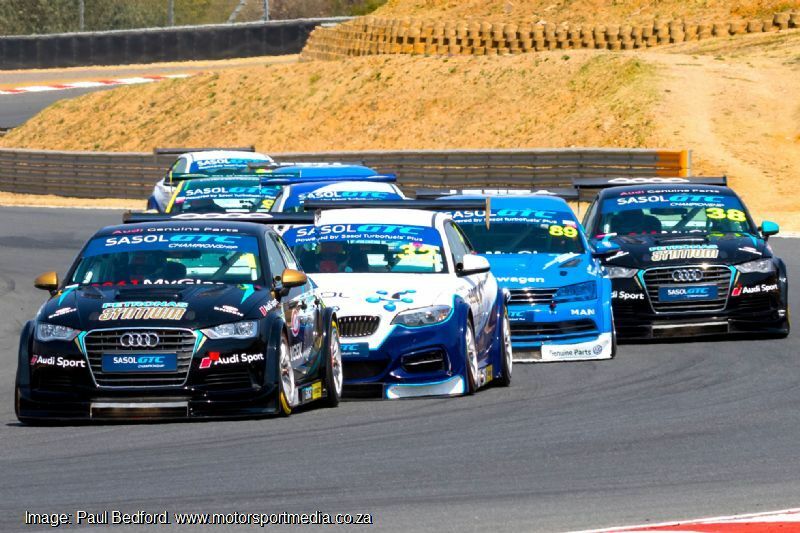 Saturday’s first race started with a wonderful scrap as Stephen led Bonafede, Rowe, Moss and Robert Wolk (Sasol BMW), before Bonafede moved ahead and cleared off looking set for an easy victory. 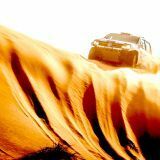 Alas, the BMW’s engine let go two corners from home to leave Gennaro stranded trackside as Stephen inherited the win to substantially open up his championship advantage over the hapless Bonafede. 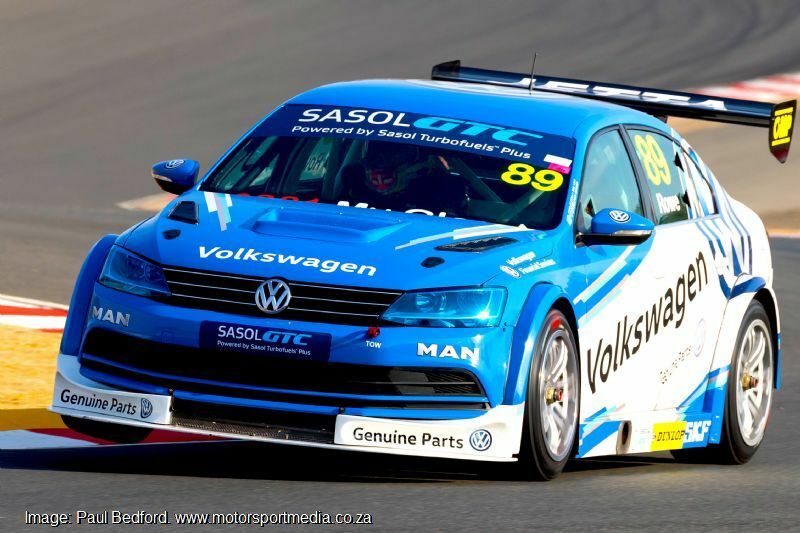 Keagan Masters, Adrian Wood and Charl Smalberger inflicted a Volkswagen Golf handicap on their GTC2 rivals as they led Devin Robertson’s Champion Mini, Trevor Bland (Universal) and Kalex driver Paul Hill’s Golfs and Bob Neill’s Delmon Ford Focus home after Bradley Liebenberg retired the Ferodo Mini with a wheel bearing failure and made his way to Vereeniging to score a couple of podium finishes in the karting regional there later in the afternoon. 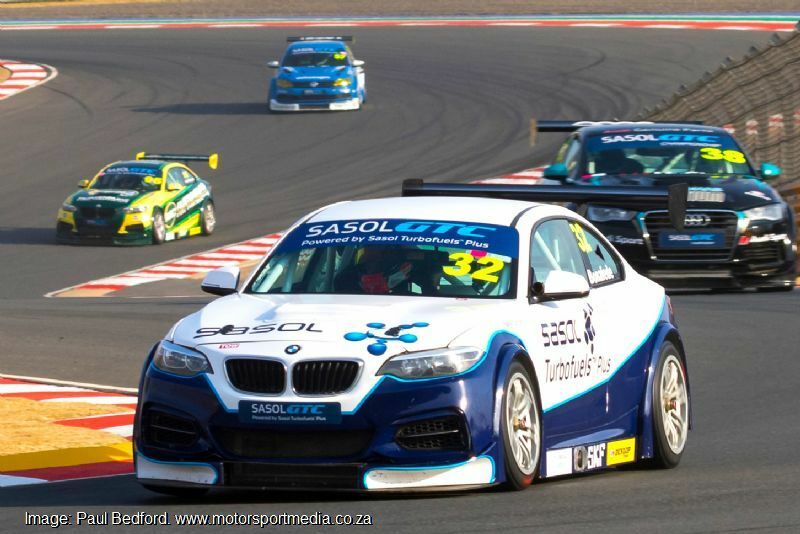 If the first race was dramatic, Sunday’s second Sasol GTC action was chaotic. 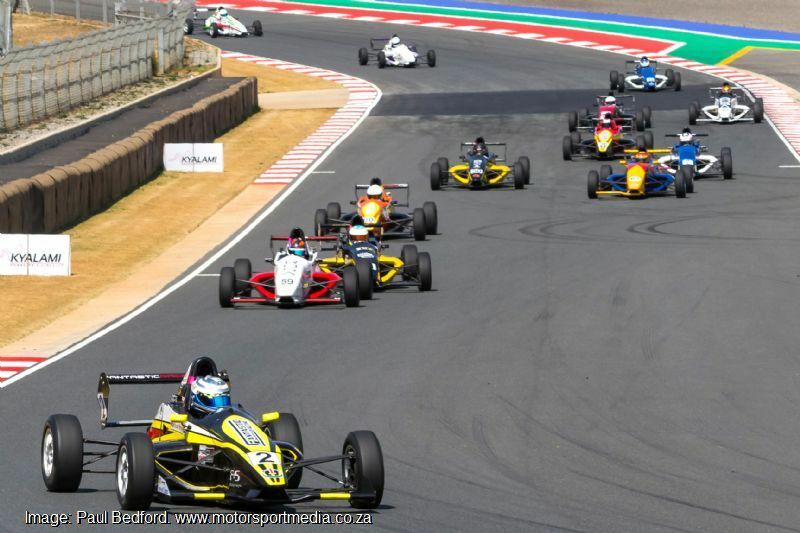 First the race was red flagged when Daniel Rowe went off hard into the wall out of the Esses and Keegan Masters could not avoid debris strewn from his teammate’s car to instantly eliminate both and bring out the red flag. 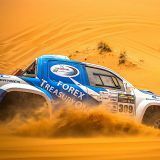 Bonafede made off after the restart with Fourie, the Audis and van Rooyen snapping at his heels, as the race settled down, leaving Bonafede to take an easy win from Fourie, Hodges, Stephen and Moss, who was struggling with his Audi after Wolk and van Rooyen stopped. 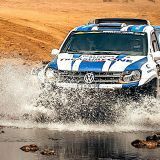 It was however GTC2’s chance to deliver a sensational finish to race 2 as Liebenberg and Robinson’s Minis diced for the lead into the final tour, a short length ahead of Bland, Wood and Smalberger’s Golfs, but Robertson slowed and Bland slipped off in Leeukop to allow Wood and Smalberger through from the delayed Robertson, Bland, Hill and Neill. 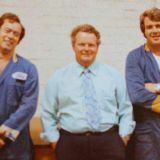 The fat lady had however not yet sung as Hodges, Smalberger, Bland and Robertson were caught out by the red flag and found to be underweight and excluded from the results. 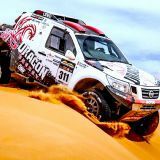 The drama continued after a re-weigh as Hodges and Robertson were reinstated, to leave Bonafede a vindicated second race winner as he clawed back some of the losses of that first race engine failure, 3 seconds clear of Fourie, Stephen and Moss. 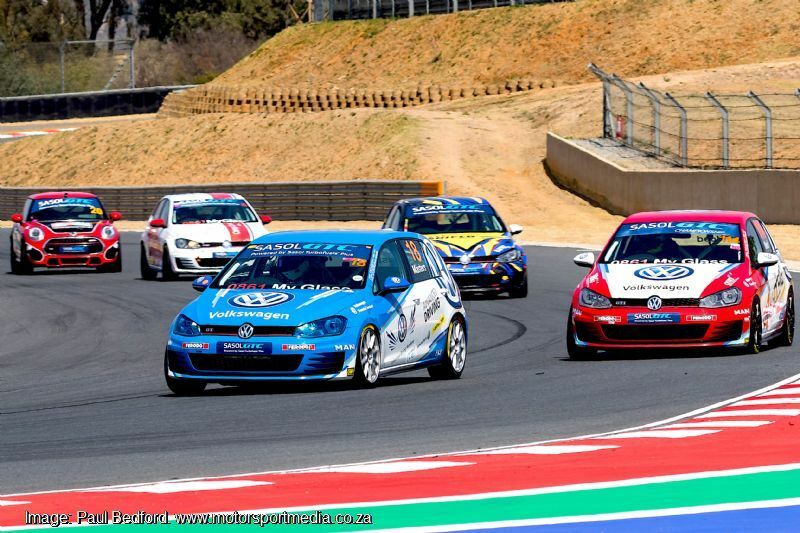 Liebenberg took GTC2 honours from Wood, Robertson, Hill and Neill. 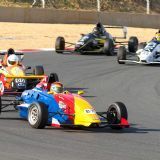 It was also a dramatic, if dominant weekend in Investchem Formula 1600 as Bloemfontein youngster Stuart White delivered a crushing qualifying performance before driving into the distance to win both races at ease over Scott Temple each time. 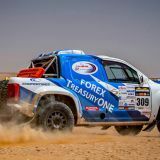 There was high drama in qualifying when Canadian visitor Jeff Gable and Gerard Geldenhuys made contact and Gable made heavy contact with the turn 2 barriers. Gable visited the local hospital for a check-up before being released with bruising and a broken thumb, missing Friday afternoon’s opening race. 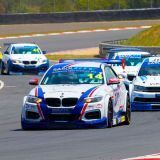 White made no mistakes, blasting to a crushing 14 second race 1 victory over Scott Temple Friday afternoon, with Alex Gillespie and Tiago Rebelo keeping the crowd content in their dice for third, resolved Gillespie’s way by just half a second. 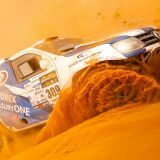 Andrew Schofield similarly held off Gerald Wright’s close attention, while Andrew Rackstraw fought back to beat duelling Class B frontrunners Ian Schofield and Allen Meyer with that trio covered by 1.3 seconds at the flag. 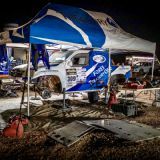 David Jermy’s race came to a dramatic end as he ploughed into the Clubhouse corner tyre barriers and title contender Nicholas van Weely ground to a halt with alternator failure. 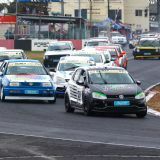 White once again dominated the second race as he cruised off to a six-second win over Scott Temple with Tiago Rebelo a further six seconds adrift as Nicholas van Weely overcame an entertaining dice with Class B winner David Jermy, Alex Gillespie, Andrew Rackstraw and Siyabonga Mankonkwana. 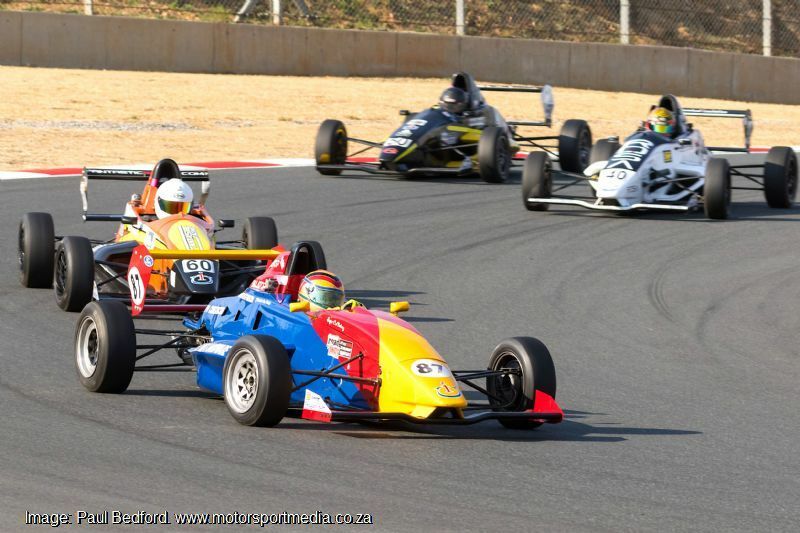 The weekend also witnessed a number of race car demonstrations alongside the rest of the Kyalami Festival of motoring track activities, perhaps the most poignant being a salute to Formula 1600 racing lass Donny Lamola, who is recovering from medical issues. 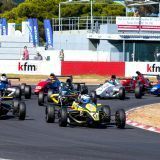 Sasol GTC and the Investchem Formula 1600 Road to Indy return to Killarney in Cape Town along with all the regular Extreme Festival classes 22 September.